Thank you for your support during this difficult time. Please enhance this tribute to Peter by adding your memories and photos. PEABODY – Mr. Peter Behrakis, 90 of Peabody, beloved husband of Virginia (Marrocco) Behrakis, passed away peacefully on Friday, September 7, 2018 at Brooksby Village in Peabody. Born in Waltham, he was the son of the late Nicholas and Stella (Logothou) Behrakis. Raised and educated in Waltham, he attended Waltham Public Schools. An honorably discharged veteran, Peter proudly served his country as a member of the United States Navy during World War II. A longtime member of the Town of Belmont, prior to moving to Brooksby Village in Peabody, Peter had spent his entire professional career working and managing machine shops within the community. His hard work and dedication went beyond the workplace and truly reflected in the man he was with his family. He will be deeply missed by those who knew and loved him. In addition to his wife Virginia, with whom he shared nearly 67 years of marriage, Peter is survived by his daughter, Donna M. Conti and her husband Albert of West Greenwich, RI, his son, Peter Behrakis of Woodside, CA, his 3 grandsons, 5 great-grandchildren and several nieces and nephews. ARRANGEMENTS: Peter's memorial service will be held at a later date. Assisting the family with the arrangements is the Peterson-O'Donnell Funeral Home, 167 Maple St., (rte. 62) Danvers. In lieu of flowers, expressions of sympathy may be made in Peter's name to the Anatomical Gift Program c/o Harvard Medical School, 260 Longwood Ave., TMEC 158, Boston, MA 02115. 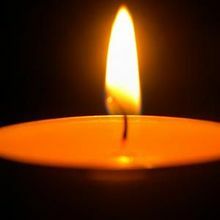 To share a memory or offer a condolence, please visit www.odonnellfuneralservice.com. Dear Virginia,Donna and Peter, I am so sorry for your loss. I have so many wonderful memories of Peter and the Behrakis family.You are great friends and I will keep you all in my prayers.